Professor Ir Dr Sharifah Rafidah Wan Alwi, CEng, MIChemE, MIEM, is the Director of Process Systems Engineering Centre (PROSPECT) of Universiti Teknologi Malaysia (UTM). Sharifah has been extensively involved in 66 research projects (worth RM4.995Million), 23 industrial based projects for various companies and government agencies and has trained engineers from more than 200 companies in the field of sustainable engineering design and management. 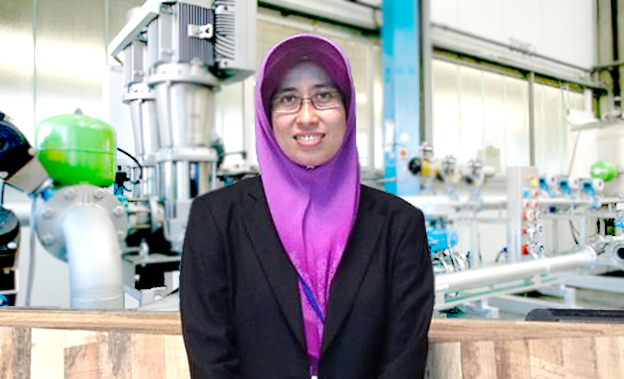 Professor Ir Dr Sharifah Rafidah Wan Alwi specialises in process systems engineering with an emphasis on resource conservation. She has more than 200 publications with a H-index of 26 (Scopus). Sharifah is currently the Associate Editor for Journal of Cleaner Production (Impact Factor of 4.959, Q1), Editorial Board member for Applied Thermal Engineering Journal (Impact Factor of 3.043, Q1) and International Journal of Higher Education and Sustainability, and an International Member of European Committee for the Use of Computers in Chemical Engineering Education (EURECHA). She has been serving as the Guest Editor for Journal of Cleaner Production (Impact factor of 3.356, Q1), Asia-Pacific Journal of Chemical Engineering (Impact factor of 0.836, Q3) and PERINTIS e-Journal. She is a frequent reviewer for 16 international journals and has been appointed as an international scientific and technical committee for several international conferences. Sharifah has filed 14 patents, 22 copyrights and developed 5 software products. Her team has established a UTM Spin-off company called Optimal Systems Engineering Sdn Bhd (OPTIMISE), where she serves as one of the Board of Directors to commercialise not only their products but also ideas and know-how. Sharifah received her PhD at the age of 26 from Universiti Teknologi Malaysia (UTM), making her one of the two youngest PhD holders in Malaysia at that time. She was awarded the Maal Hijrah 2008 (New Year of 2008) Award – Glorious Achievement by the Sarawak state government and the Excellent Service Award by UTM. Her PhD work on water minimisation has won the 2008 Prince Sultan Abdul Aziz International Water Award, Urban Water Demand Management Category. She has won numerous international and national awards since then such as Green Talents 2009 award from the Federal Ministry of Research, Germany for her excellence in environmental research; Global Top 5 shortlisted candidates for IChemE Young Engineer Award 2009; Highly Commended Sir Frederick Warner Prize 2011 from IChemE UK; “Computers and Chemical Engineering most downloaded paper (2013)”; ASEAN Young Scientist and Technologist Award (AYSTA 2014); PhosAgro/UNESCO/IUPAC Research Grant in Green Chemistry 2014; National Young Scientist Award 2015 from Malaysia Ministry of Science, Technology and Innovation (MOSTI); and Most Exalted Order of the Star of Sarawak 2015 – Officer Rank (P.B.S.). Just recently, she was awarded the Honorable Mention and Runner-up for ASEAN-US Science Prize for Women 2016 in Energy Sustainability and Malaysia Rising Star 2016 Award – Young Researcher Category. Due to her various contributions globally and locally, she was promoted as Professor in 2016 at the age of 34 years old by Universiti Teknologi Malaysia. She has served as the Chairman for Malaysia IChemE Young Engineer Group (YEG) (2016-2017) and is a member of Young Scientist Network, Academy of Sciences Malaysia (YSN-ASM) and Persatuan Saintis Muslim Malaysia (PERINTIS). She is a certified ASEAN Energy Management Scheme (AEMAS) Energy Manager trainer and a Registered Electrical Energy Manager under the Malaysia Energy Commissioner. She chaired the 1st Global Process Systems and Safety Conference (PSSE2016) and co-chaired the 18th International Conference Process Integration, Modelling and Optimisation for Energy Saving and Pollution Reduction (PRES 2015), a cleaner energy main stream international conference which has been organised in Europe and North America since 1998.